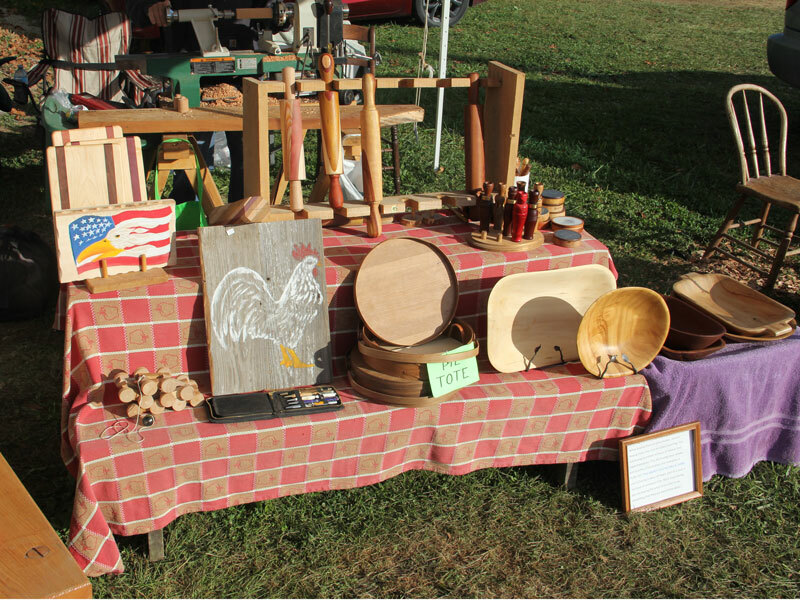 Collom's Wood Carving is located on Hawkins Road across from the Bridgeton Fire House during the Parke County Covered Bridge Festival. 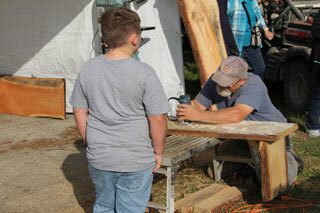 Come by and watch Dan chainsaw carve. 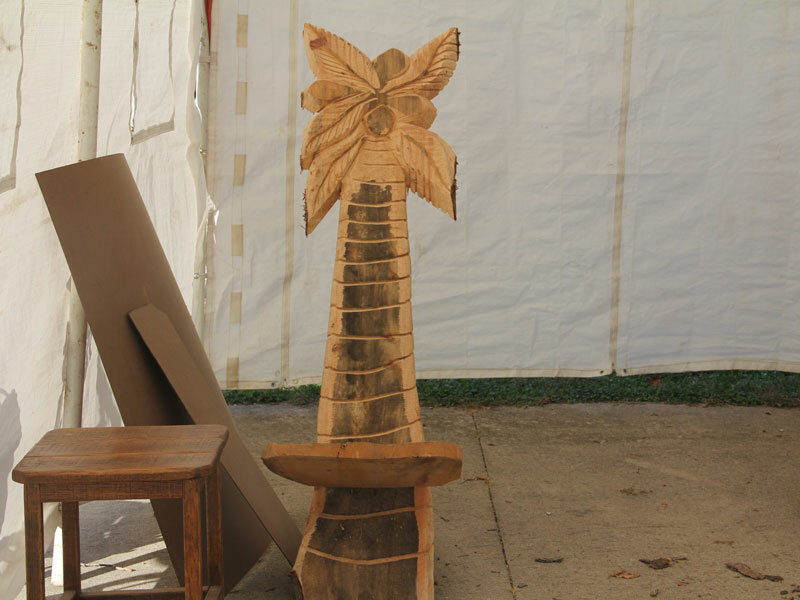 Burris Wood Carving is located with Collom's Wood Carving on Hawkins Road across from the Bridgeton Fire House during the Parke County Covered Bridge Festival. 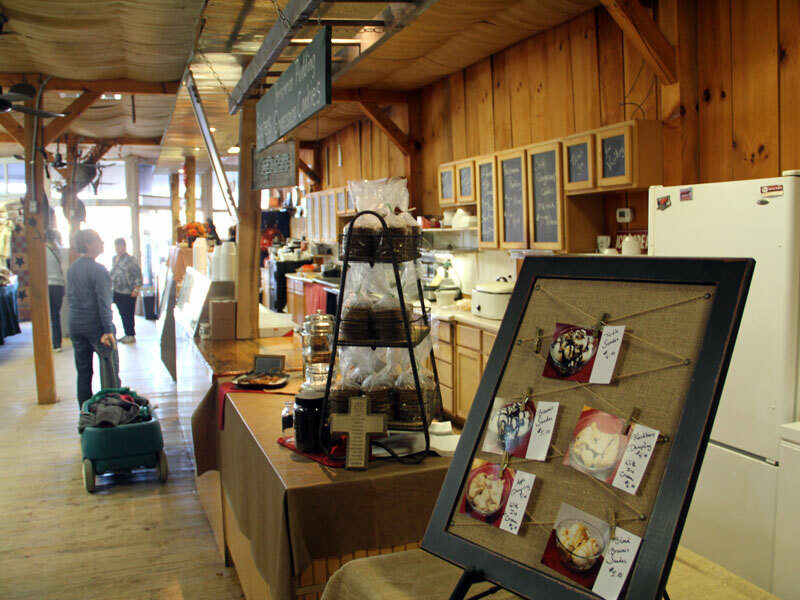 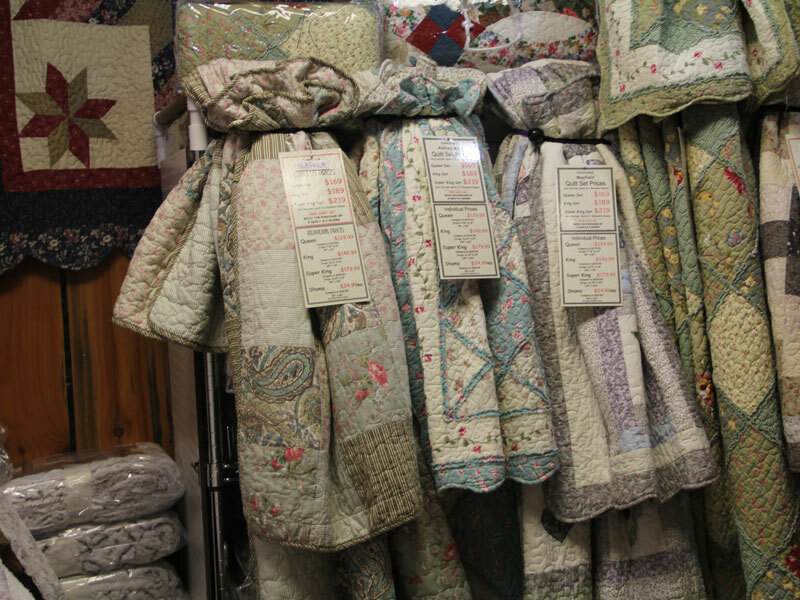 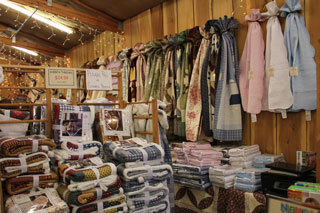 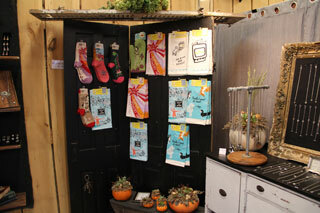 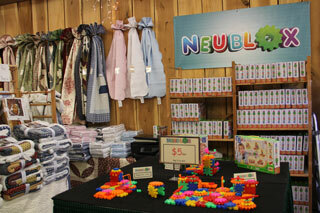 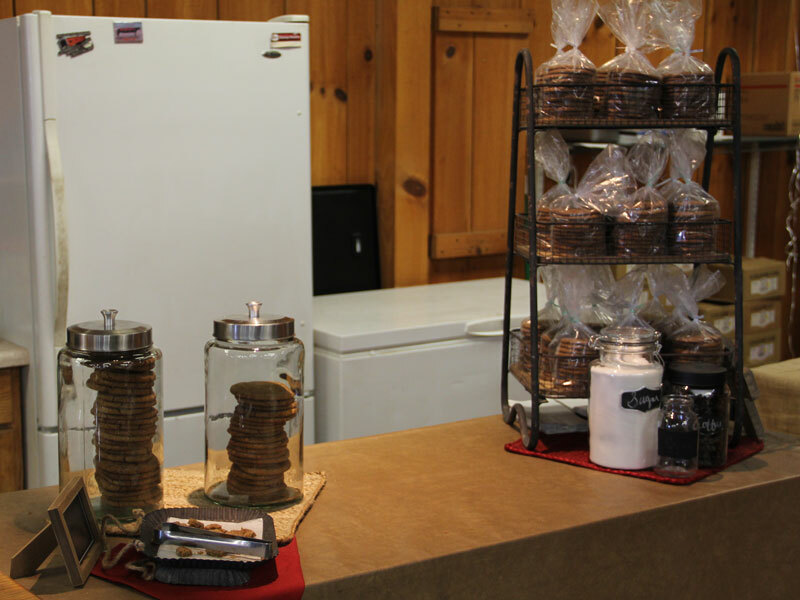 All Tucked In is located in the front of Collom's General Store during the Parke County Covered Bridge Festival. 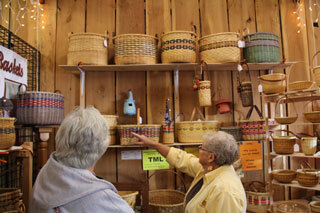 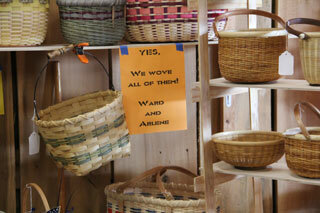 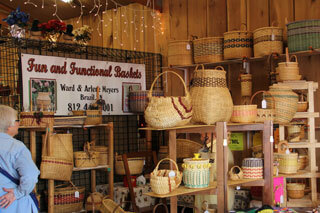 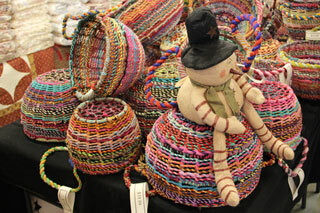 Fun and Functional Baskets is located in the back of Collom's General Store during the Parke County Covered Bridge Festival. 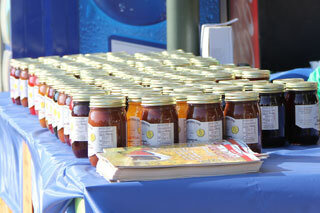 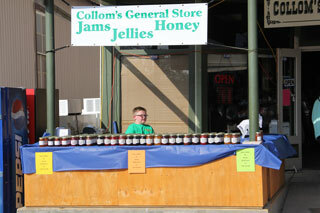 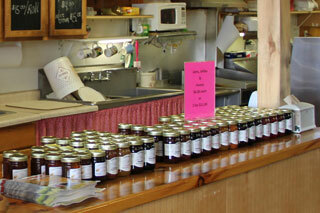 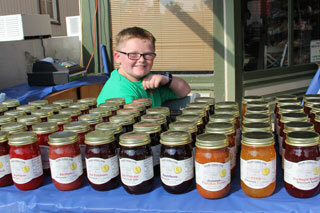 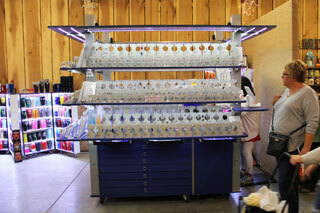 The Jelly Stand is located in Collom's General Store during the Parke County Covered Bridge Festival. 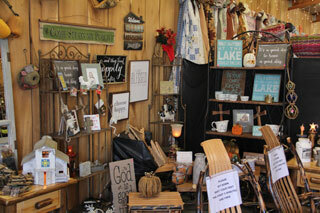 Rays Photo is located in the front of Collom's General Store during the Parke County Covered Bridge Festival. 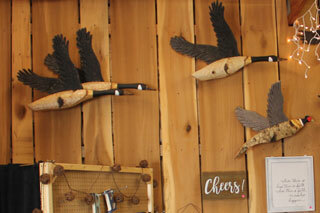 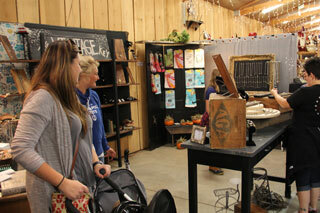 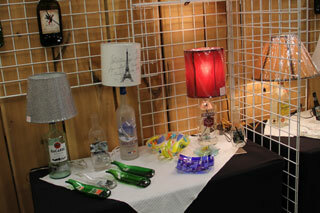 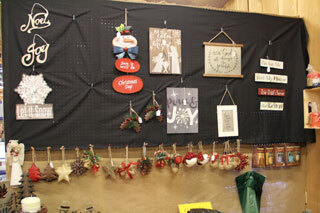 Rustic Moose Decor is located in the back of Collom's General Store during the Parke County Covered Bridge Festival. 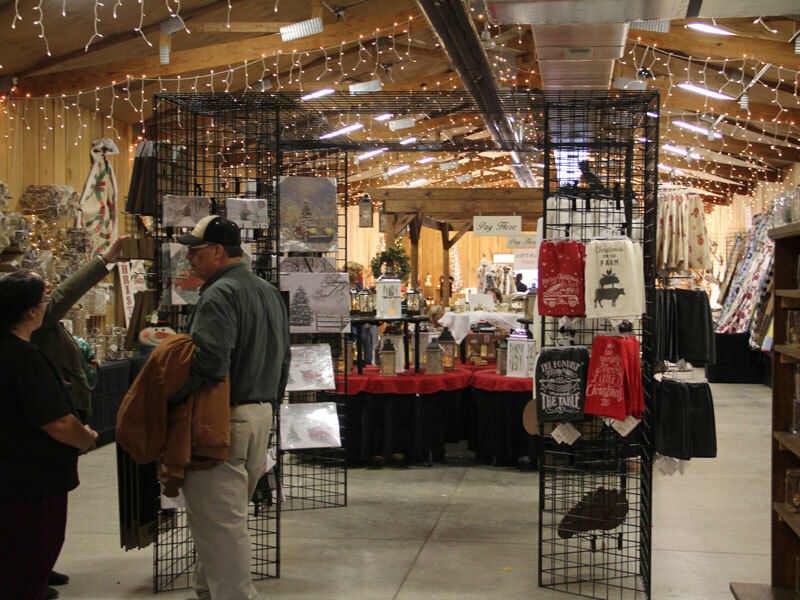 S 3S Jewelry, Custom Crafted Designs, and All About You are located in the back of Collom's General Store during the Parke County Covered Bridge Festival. 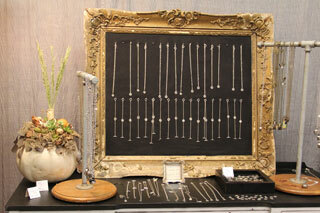 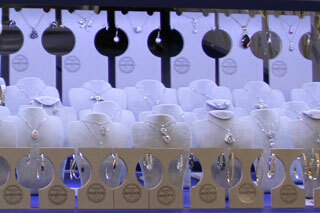 For more information about S 3S Jewelry email them at s3s2011inc@gmail.com. 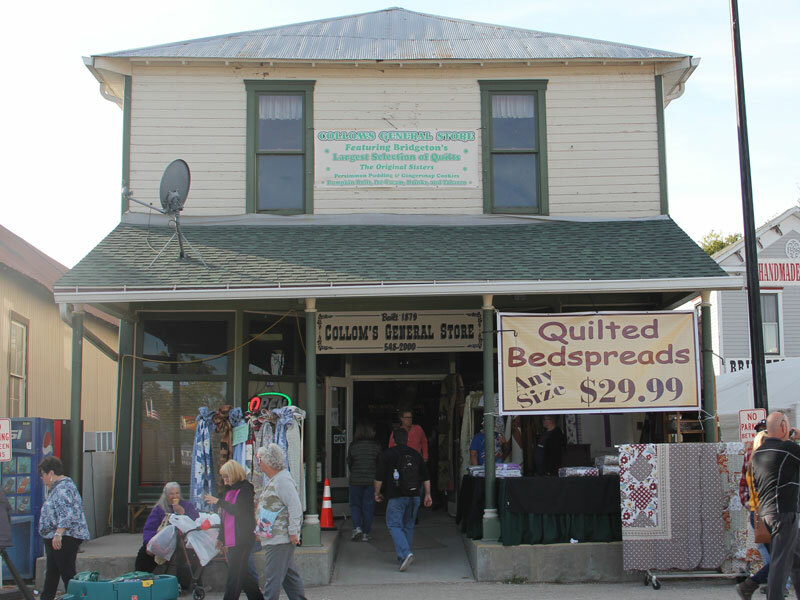 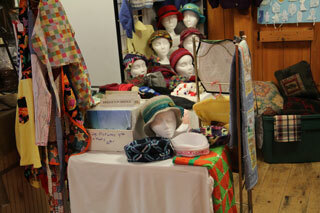 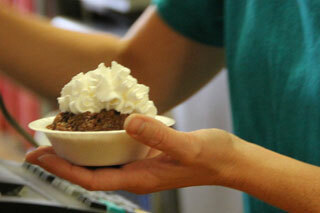 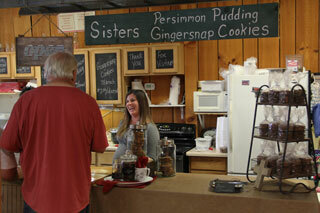 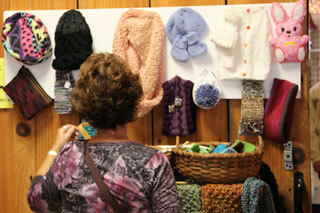 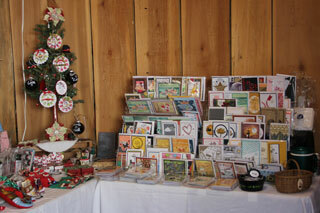 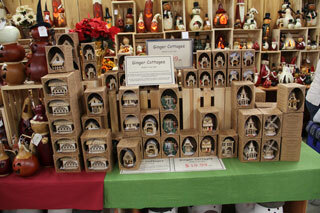 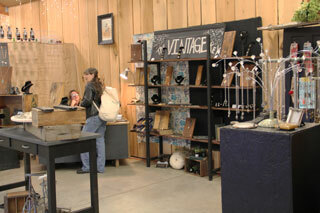 Sisters is located in the front of Collom's General Store during the Parke County Covered Bridge Festival. 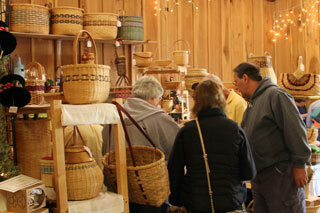 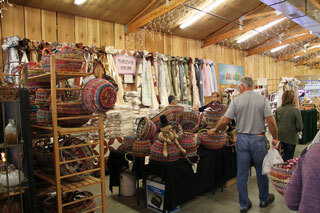 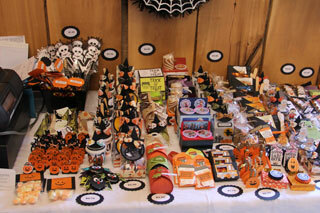 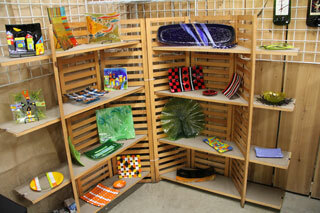 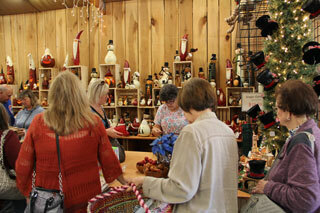 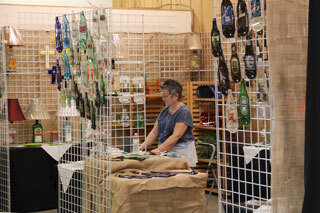 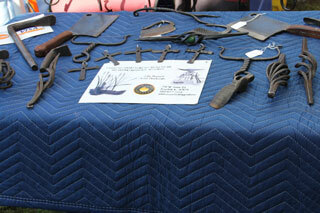 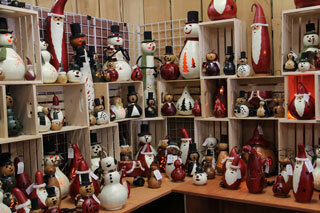 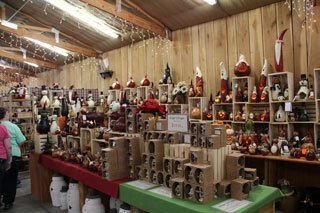 The Gourd Booth is located in the back of Collom's General Store during the Parke County Covered Bridge Festival. 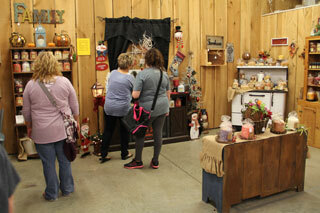 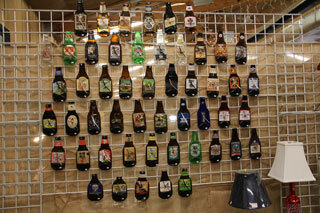 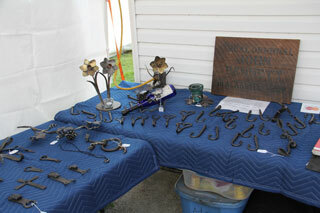 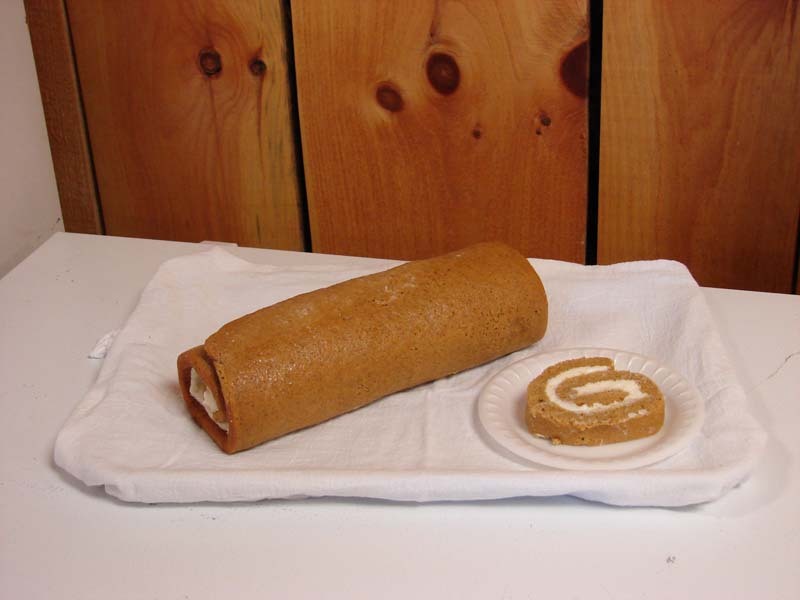 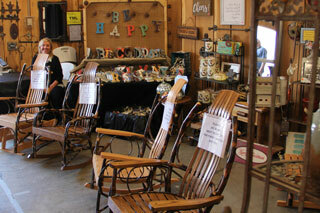 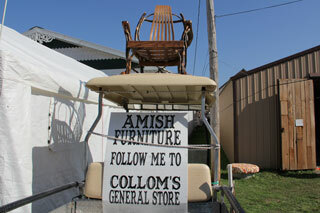 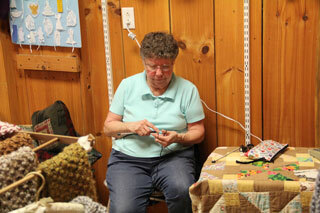 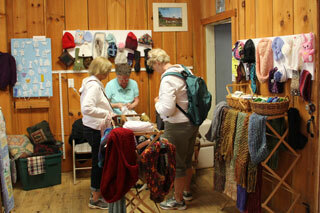 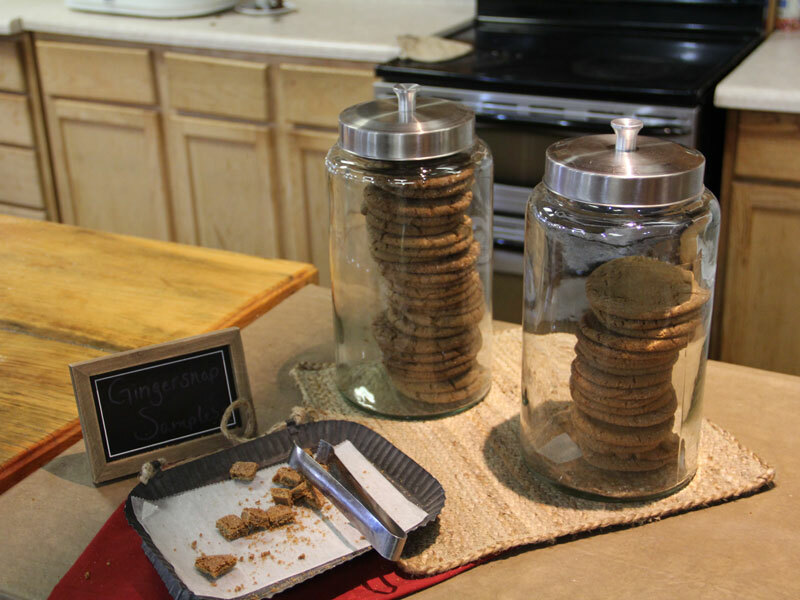 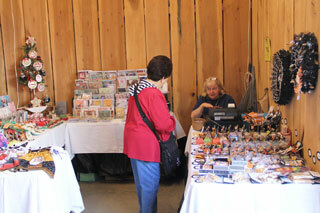 The Two Sisters is located in the back of Collom's General Store during the Parke County Covered Bridge Festival. 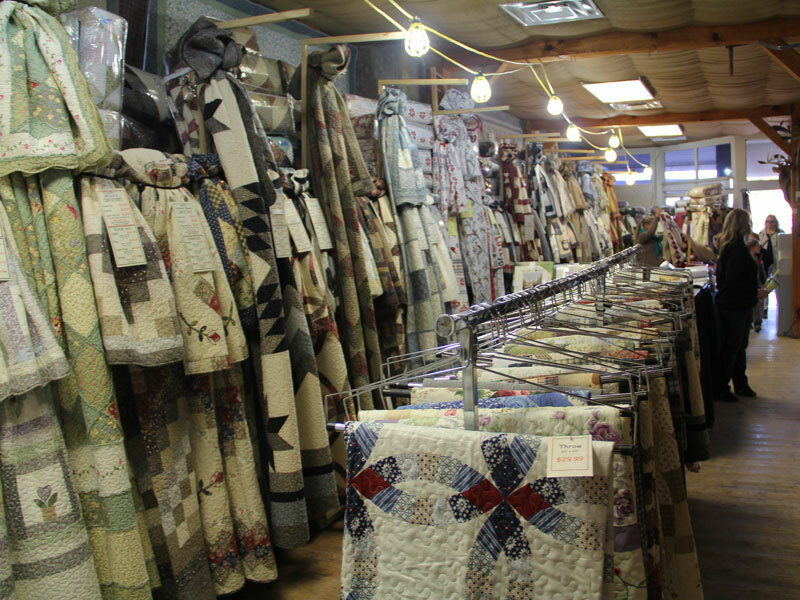 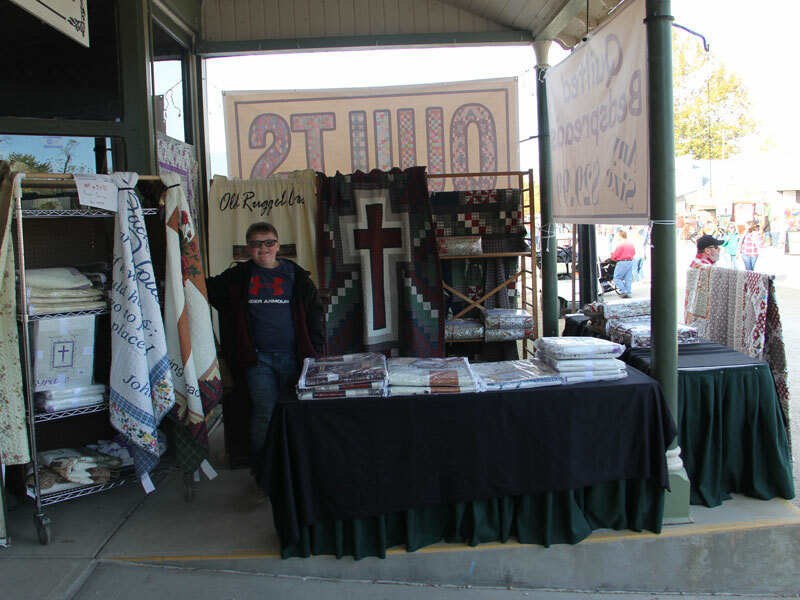 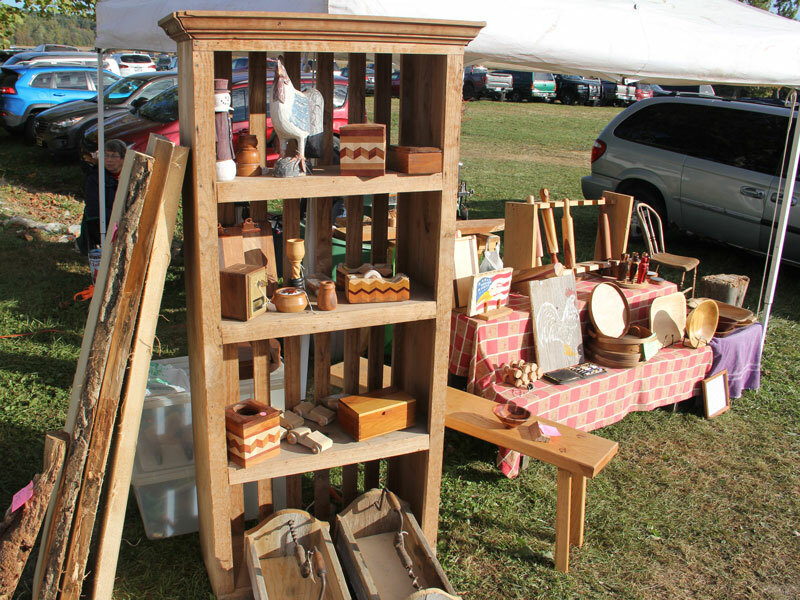 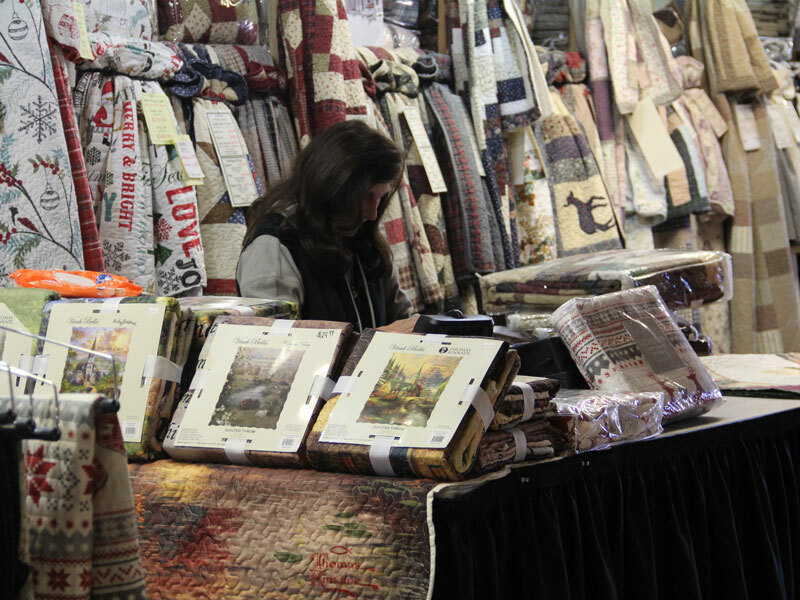 The Throws Booth is located in the back of Collom's General Store during the Parke County Covered Bridge Festival. 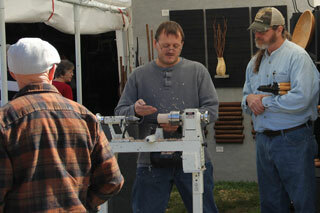 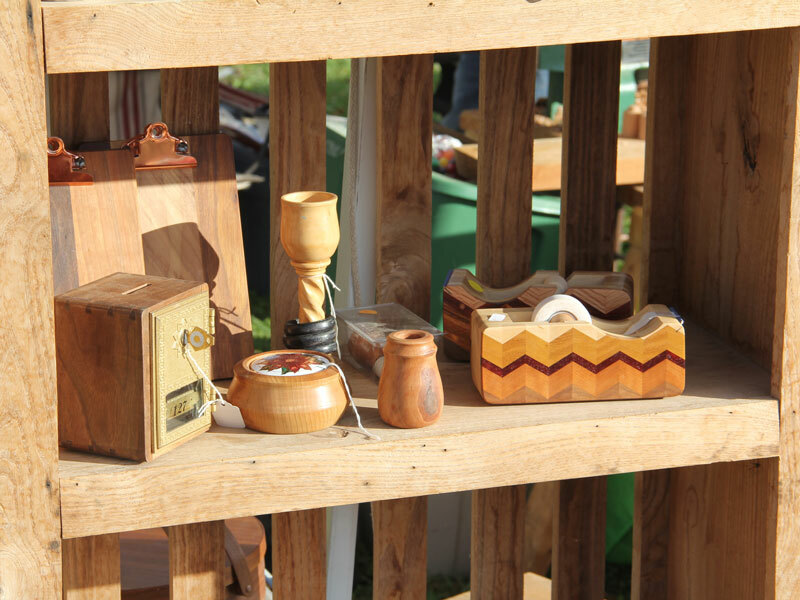 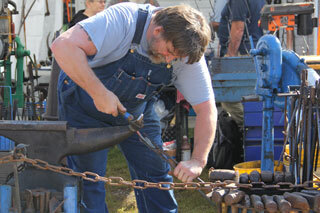 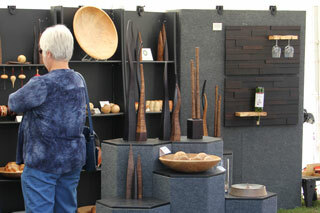 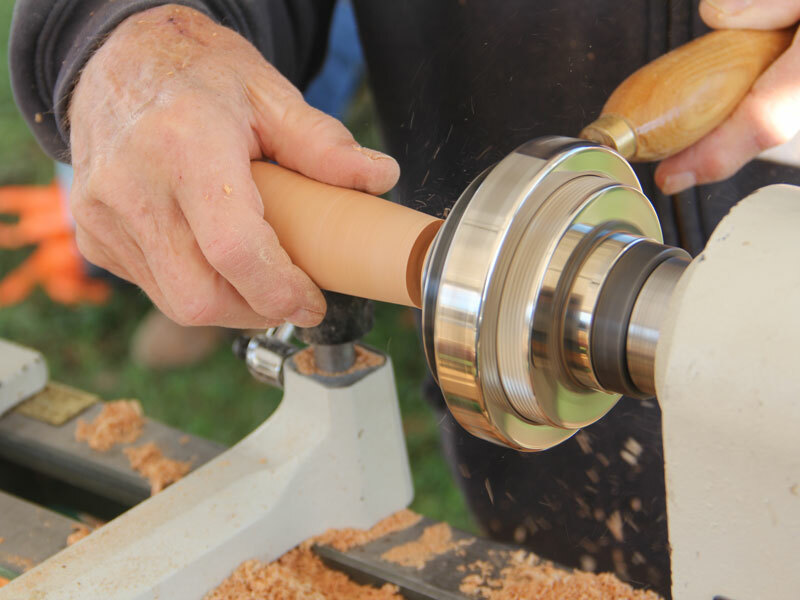 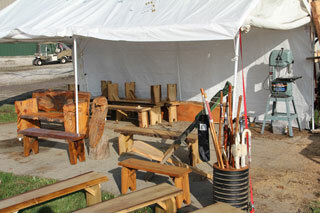 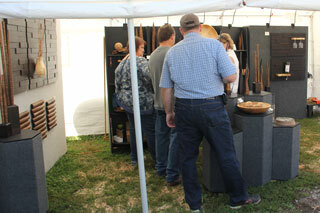 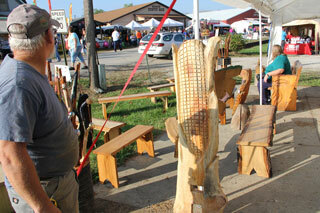 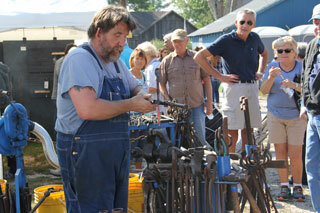 Tim Kennedy's Woodturning is located behind Collom's General Store during the Parke County Covered Bridge Festival. 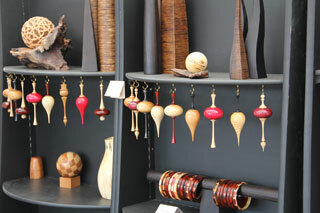 For more information about his products visit the website at www.timsturnery.com. 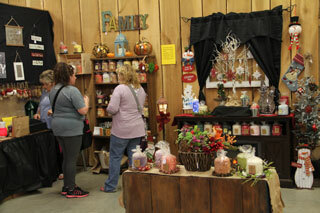 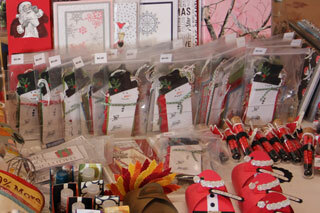 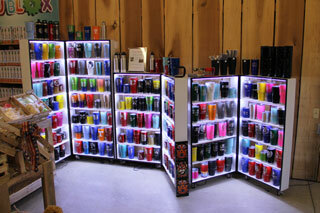 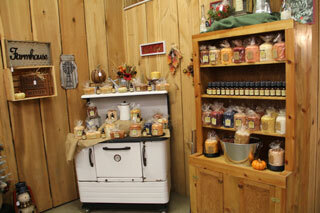 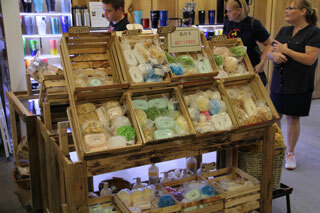 Warm Glow Candles is located in the back of Collom's General Store during the Parke County Covered Bridge Festival.